Personal information and knowledge management software. Is there a better alternative to SortingThoughts? 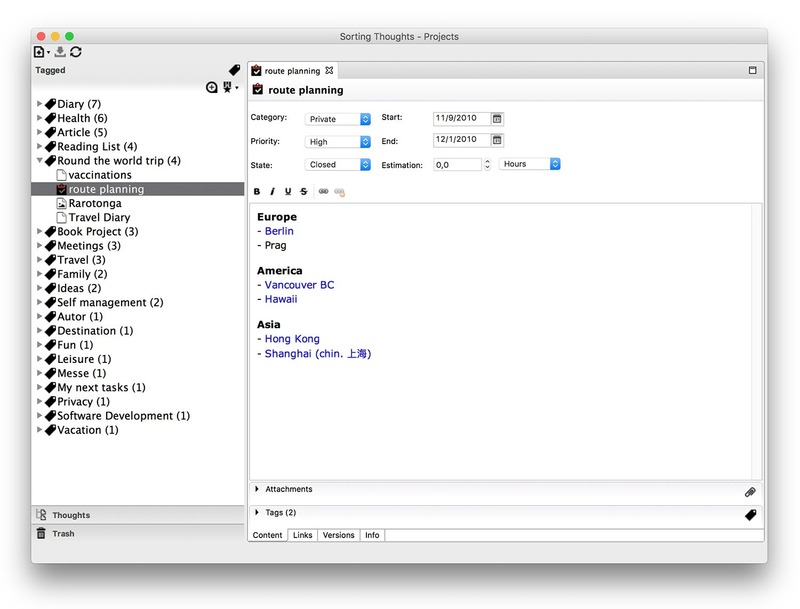 Is SortingThoughts really the best app in Personal Info Managers category? 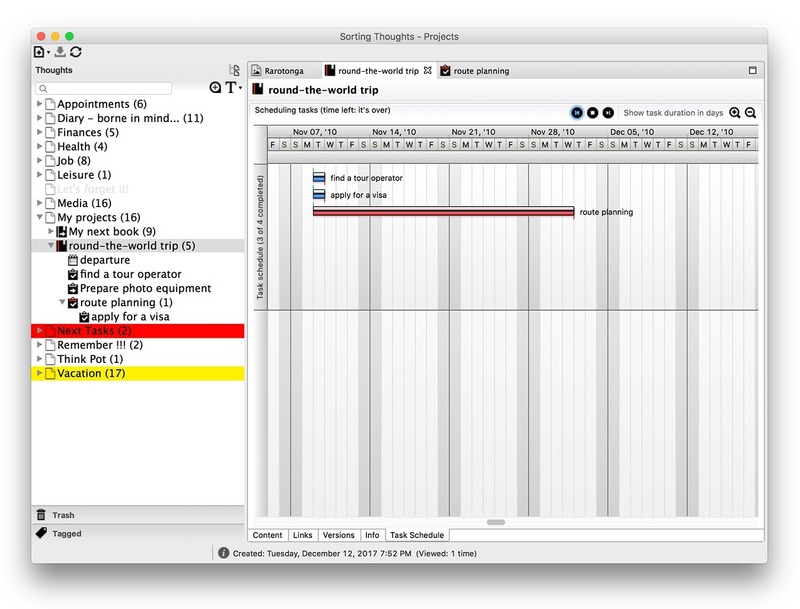 Will SortingThoughts work good on macOS 10.13.4? 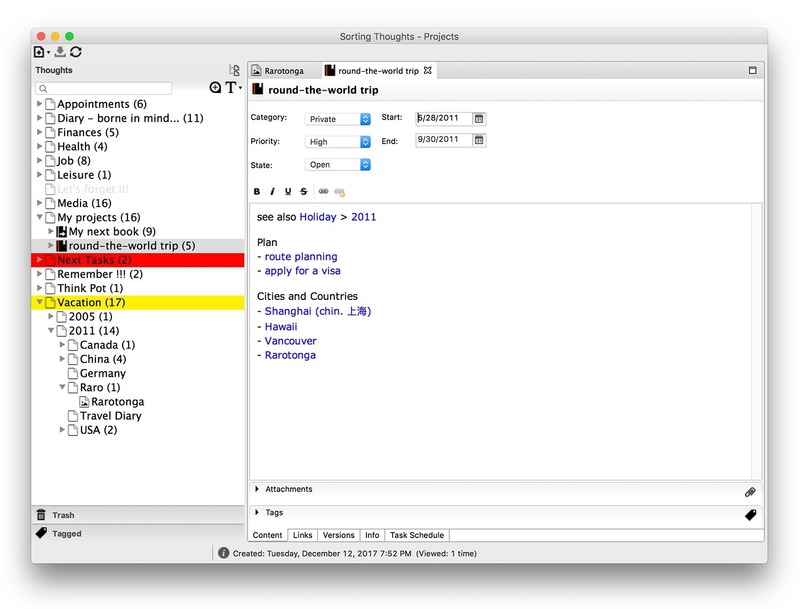 SortingThoughts is personal information and knowledge management software. It is designed to manage your thoughts such as moments of sudden inspirations, tasks, events, projects, and anything else you may think of. The main aim of Sorting Thoughts is to deliver a trustworthy tool for your daily life in the knowledge-based society through security and simplicity.